Enjoy reading and share 14 famous quotes about Being Bigger Person with everyone. “I tried to remember what Rita had said about being a bigger person. I could either calmly tell him that he was mistaken or let him have it. I could be the bigger person or I could be like any normal sixteen-year-old. Like there really was a choice. "First off, you ever call me a babe again and no medical team on earth will be able to tell that you were once a guy." “Oh. A bigger studio. It dawns on me, stupid me, that Henry could win the lottery at any time at all; that he has never bothered to do so because it's not normal; that he has decided to set aside his fanatical dedication to living like a normal person so I can have a studio big enough to roller-skate across; that I am being an ingrate. "Clare? 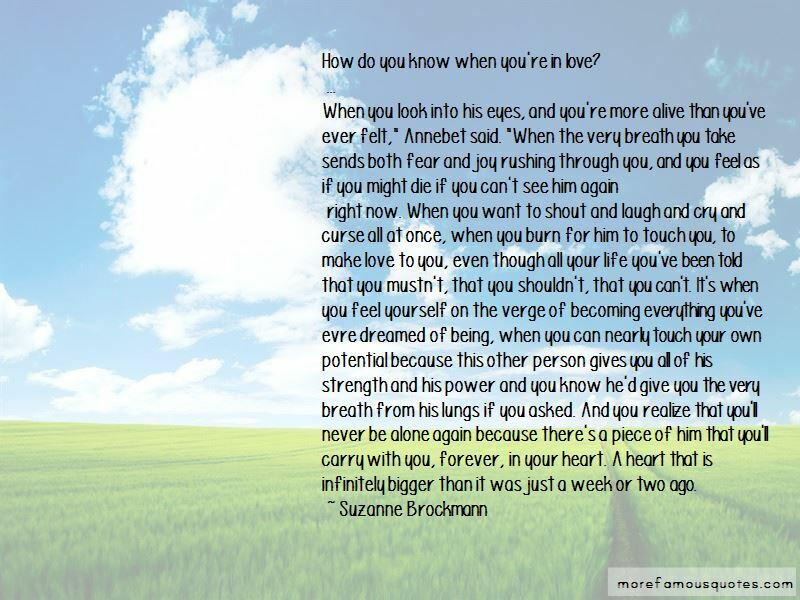 Earth to Clare ... "
“How do you know when you're in love? “Understand, for instance, that having a sad thought, even having a continual succession of sad thoughts, is not the same as being a sad person. You can walk through a storm and feel the wind but you know you are not the wind. That is how we must be with our minds. 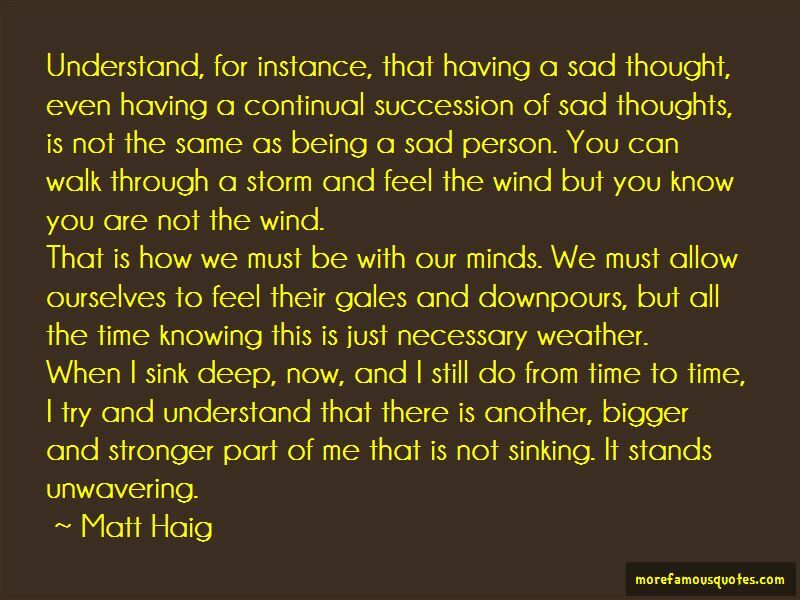 We must allow ourselves to feel their gales and downpours, but all the time knowing this is just necessary weather. 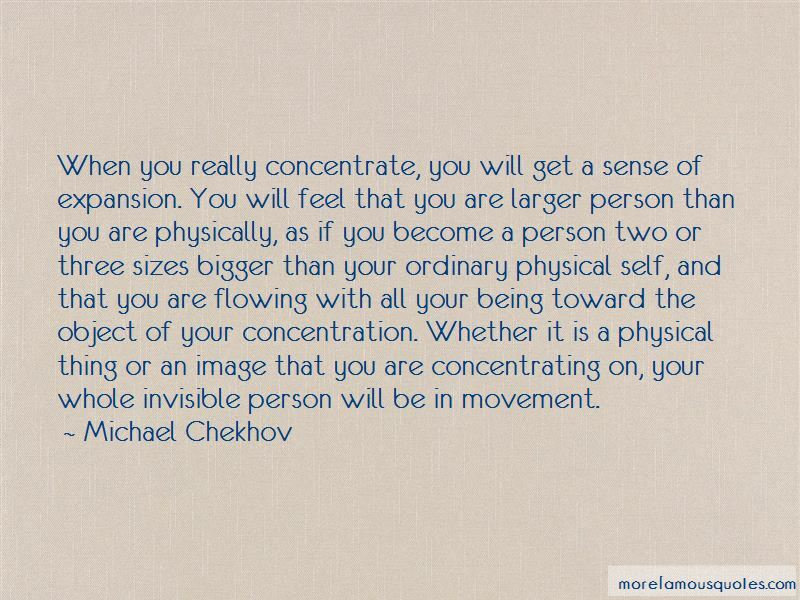 Want to see more pictures of Being Bigger Person quotes? Click on image of Being Bigger Person quotes to view full size.